French chemist, born at Montpellier on the 30th of September 1802. He started as an apothecary, but taking up teaching he acted as chemical assistant at the faculty of sciences of his native town, and then became professor of chemistry at the royal college and school of pharmacy and at the faculty of sciences. In 1826 he discovered in sea-water a substance which he recognized as a previously unknown element and named bromine. 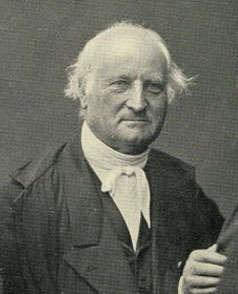 The reputation brought him by this achievement secured his election as successor to Louis-Jacques Thénard in the chair of chemistry at the faculty of sciences in Paris, and in 1851 he was appointed professor of chemistry at the Collège de France, where he had Marcellin Berthelot first as pupil, then as assistant and finally as colleague. He died in Paris on the 30th of April 1876. While the discovery of bromine and the preparation of many of its compounds was his most conspicuous piece of work, Balard was an industrious chemist on both the pure and applied sides. In his researches on the bleaching compounds of chlorine he was the first to advance the view that bleaching-powder is a double compound of calcium chloride and hypochlorite; and he devoted much time to the problem of economically obtaining soda and potash from seawater, though here his efforts were nullified by the discovery of the much richer sources of supply afforded by the Stassfurt deposits. In organic chemistry he published papers on the decomposition of ammonium oxalate, with formation of oxamic acid, on amyl alcohol, on the cyanides, and on the difference in constitution between nitric and sulphuric ether.